Count on our professionalism to deliver the best residential air duct cleaning services. We clean dust and dirt that's been accumulated in the ducts with the highest quality vacuums, blowers, and brushes in California, along with cleaning dryer vents, replacing and repairing ducts, and taking care of the ventilation system. 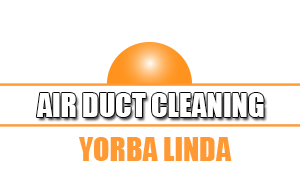 Give us a chance to tell you about the most exceptional air duct cleaning company in the entire area of Yorba Linda, which is Yorba Linda Air Duct Cleaning. How do we know that we are the best? We are the best simply because of customers tell us that we are. Not only are we here every time our customers need us, but we also offer quality work at affordable prices, and we offer all air duct services. What more could you ask for? Clean any type of air or heating ducts you have installed. Sanitize the air, and thus getting rid of all pathogens. Deodorize the air, and thus eliminating all unpleasant odors. Our Company is located in the city of Yorba Linda. This city is in Orange County, California, and the residents here make up a population of approximately 65,000. Two of the points of interest in this city are the Richard Nixon Presidential Library and Museum, and the Save Ranch. Yorba Linda Air Duct Cleaning is the company that the residents of this great city call upon whenever they are in need of any air duct cleaning services. We are excellent professionals in air duct repair and cleaning. We replace and maintain ducts, clean dryer vents and excel in HVAC maintenance. Our contractors specialize in exhaust system cleaning and both commercial and residential services.